See the following article posted in F and I Showroom Magazine. This furthers our assertion that Yelp is extortionate and manipulative in their business practice. Furthermore, I challenge you to find a dealership(that isn't paying Yelp) that has higher than a 2.5 star review rating. As always, be sure to read the filtered reviews also, those have a much higher satisfaction rating, but Yelp mysteriously filters them, unless of course you pay them! SAN FRANCISCO — Earlier this month, the Ninth U.S. 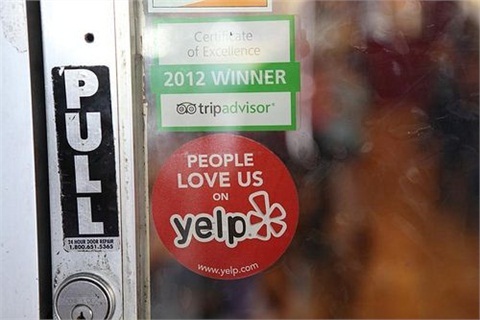 Circuit Court of Appeals upheld a lower court’s ruling that dismissed a class action lawsuit against Yelp! Inc. The lawsuit claimed the company extorts money from business owners by threatening to manipulate their business ratings if they do not buy advertising. The federal court ruled that even if Yelp manipulates its business review ratings to sell advertising, the practice would not qualify as extortion. Boris Levitt, the owner of a furniture restoration business; the owners of Cats and Dogs Animal Hospital, Inc.; John Mercurio, the owner of an automobile body repair shop; and Dr. Tracey Chan, a dentist; filed the suit against Yelp for violations of California’s Unfair Competition Law. The law prohibits any unlawful, unfair or fraudulent business act or practice and unfair, deceptive, untrue or misleading advertising. Levitt claimed that two days after he declined to purchase advertising from Yelp, several five star reviews disappeared from his page. Chan alleged that a sales representative from Yelp told her that buying ads on the site offered benefits “such as the opportunity to keep Chan’s business ratings high by hiding or burying bad reviews,” according to the ruling. The plaintiffs also claimed that “approximately 200 Yelp employees or individuals acting on behalf of Yelp” have written reviews of businesses. But the federal court found that there was insufficient evidence to support this claim.